A pair of personalised socks for a husband or wife who still makes your toes wiggle! 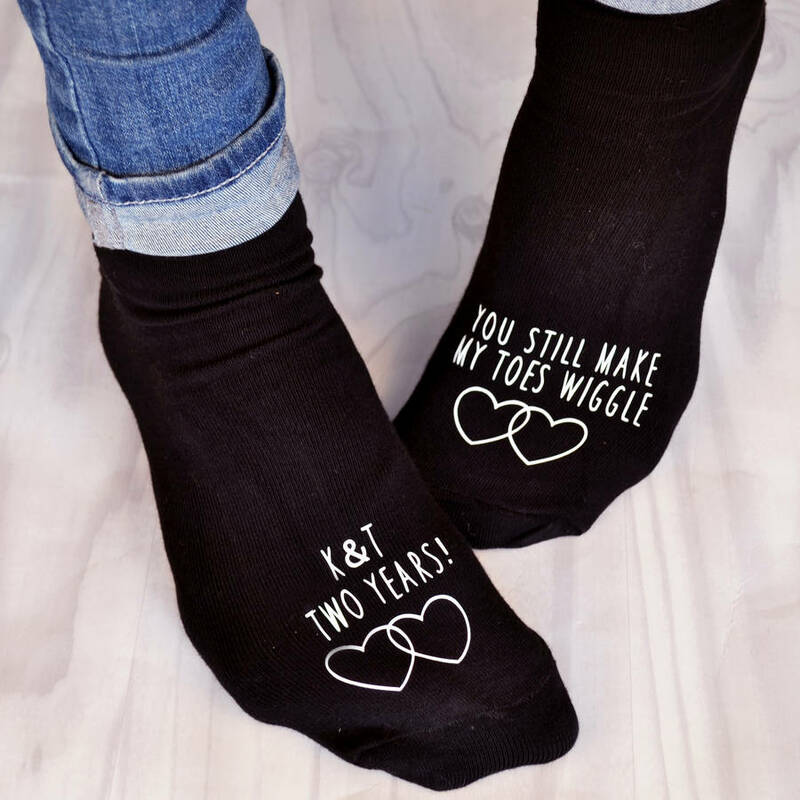 This is a quirky and cute anniversary gift. Saying something special to your husband for an anniversary can be difficult. 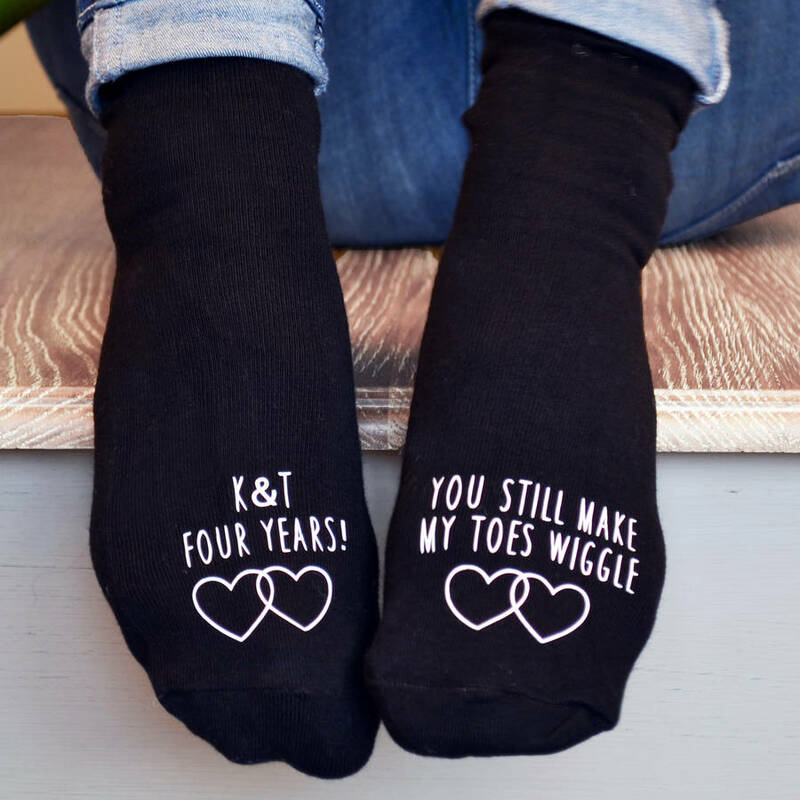 But with these personalised anniversary socks whether it has been 2 years, or 42, you can tell your husband or wife how you feel with a quirky 'You still make my toes wiggle" saying. These socks are incredibly cute and sure to be a really treasured gesture of love on big occassions. These socks are personalised with the couples intitials and either a date or number to indicate the anniversary. These socks have messages printed about the toes. Sock One reads " You still make my toe's wiggle' and sock Two can be perosnalied with the details of your choice.